Another poster for Star Trek Beyond has crash landed onto the web. This one isn’t using a cliched colour scheme for a change. That, I think, makes it more striking than the one released last week. It does show everything that we need to know. Who the baddie is, The Enterprise in full flight as well as allies both old and new. Not only that, it is quite kinetic in the way it’s been designed and the way it draws your eye. The other thing that is quite striking is who is in the middle of the poster. 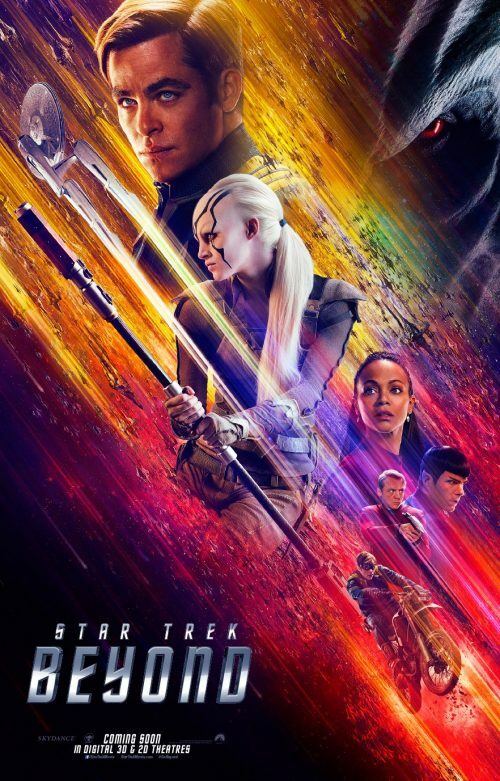 That is the character Jaylah ( Sofia Boutella ) and not Kirk ( Chris Pine ) or any of the rest of the crew of The Enterprise. Is this some way of “Empowering” women into the series or is she just prettier than the rest of the cast?